Ashali Bhandari is a visiting research at ICCCAD. She is currently pursuing her Master’s degree in City and Regional Planning at the University of Pennsylvania with a focus in community and economic development and environmental planning. She is particularly interested in how environmental shocks will impact the urban poor in cities in South Asia. 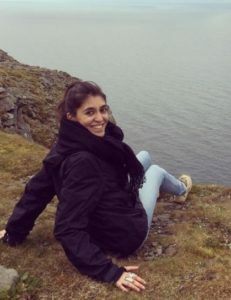 Prior to beginning her course at UPenn, she worked in Mumbai for Megapolis India and Studio X Mumbai (Part of Columbia University’s GSAPP) exploring the challenges cities face in the light of rapid urbanization. She has completed her undergraduate degree from Middlebury College in Geography and Economics.